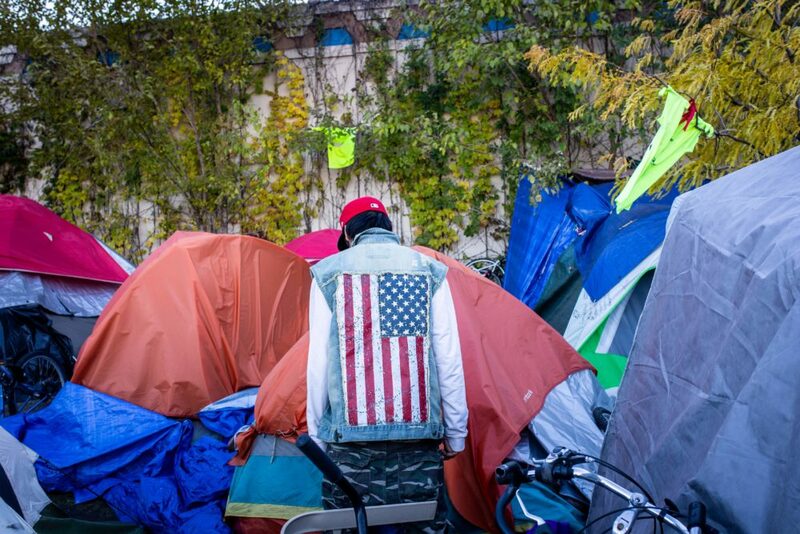 In December, the city of Minneapolis dismantled a large, outdoor homeless camp. Up to 80 percent of the people who lived there were Native American, and several had died of drug overdoses. Then an experimental shelter opened in partnership with the Red Lake Nation. The new Red Lake Navigation Center operates as a low-barrier housing facility, meaning people who are drunk or high won’t be turned away. According to Steve Horsfield, director of Simpson Housing, the nonprofit that runs the shelter, the goal of the organization is to bring people into a safe environment with as few barriers as possible. The organization is also focused on building relationships between staff and the people living at the shelter, allowing guests to have an open dialogue about the choices they’re making, Horsfield says. Despite the shelter’s experimental approach, though, widespread drug use is still a problem. In January, eight guests overdosed in a single day, and one resident died in his cot, the Star Tribune reported. "I'm really looking forward to what Native practices can do for a broader population ... getting back to some things that are much older than how we label things in this community." “I think we would all agree that 400 people dying on the streets of Minneapolis of [overdoses] in 2018 is awful, and it's something that we as a community need to respond to,” says Horsfield. “And yes, some of the people who came to us from the encampments are drug users, and we're interested in working with them ... to help them be safer. Looking to the future, Horsfield says he is looking forward to focusing on implementing Native practices at the facility. He says Native elders have already come in to pray, conduct drum circles and do smudging — the burning of traditional sage and cedar to bless people and spaces. Ashley Bailey produced this interview and edited it for broadcast with Todd Mundt. Jackson Cote adapted it for the web. This segment aired on February 8, 2019.